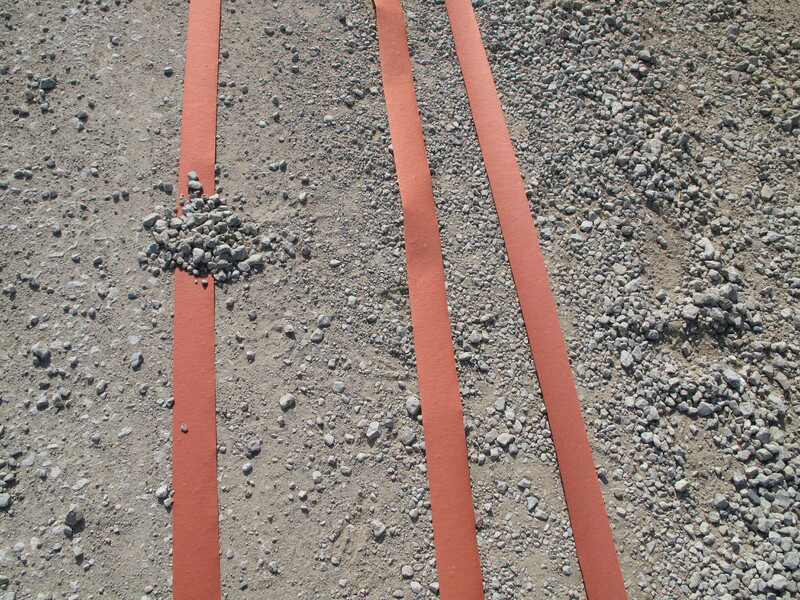 1/10 mile long installation. 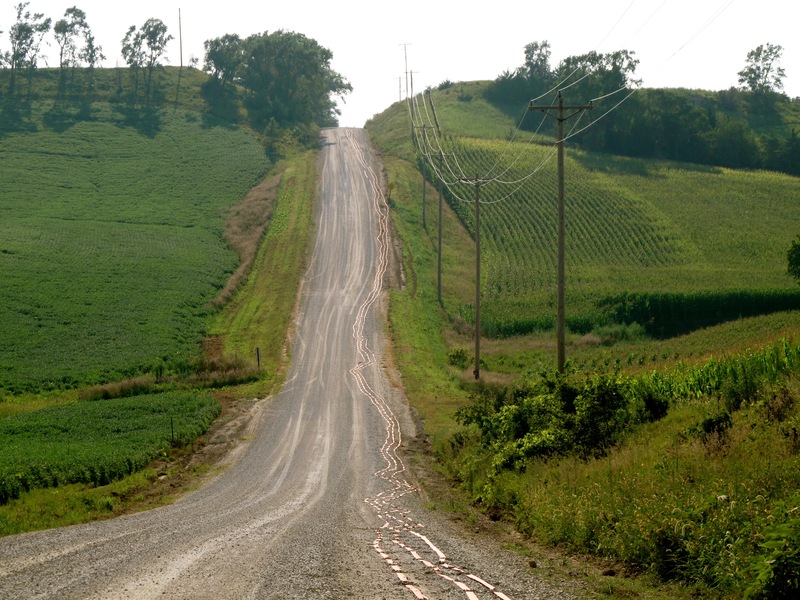 Dirt roads still comprise 1/3 of our routes of travel across the US. Local natural conditions influence the roads’ courses and they, in turn, influence our lives. 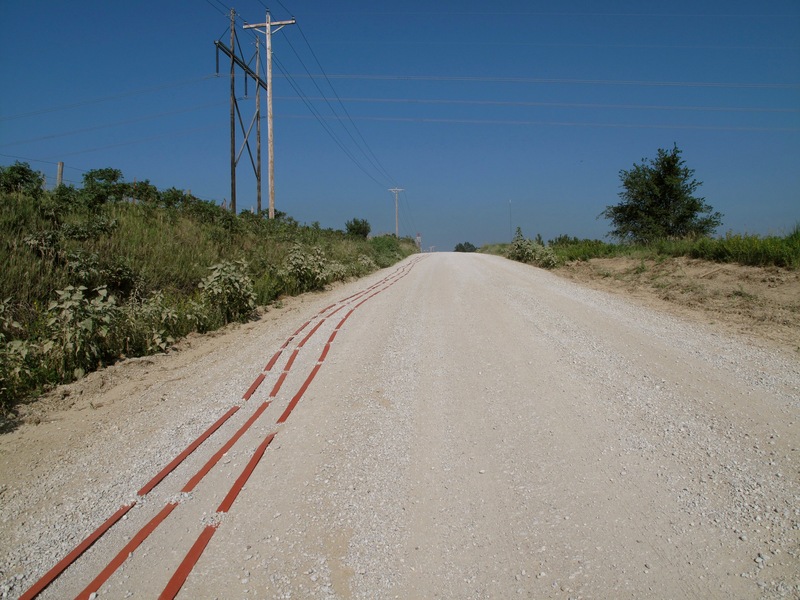 The Pflug Road dirt drawing, comprised of soil and salvaged recycled paper, references the lines of corn and soy crops, phone wires and tire tracks on and around the road. Residents stopped to ask: what are installations, what is art, how do site-specific art and nature intersect?